•	Within walking distance of the town centre. •	West facing rear garden benefiting from the evening sun. 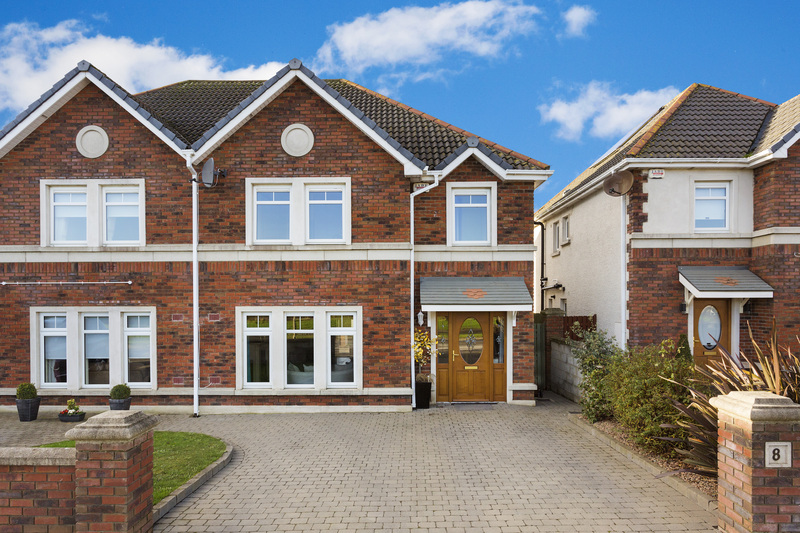 •	Externally the property includes a level lawned garden, paving slab patio, pedestrian access to the side with a spacious driveway with ample parking to front. Entrance Hallway: 5.0m x 2.59m - Spacious entrance hallway with coving & centre rose, Semi solid wooden flooring Data point, chrome switches / sockets, wooden Venetian blinds and alarm panel. Guest W/C: Tiled floors with w/c, w/h/b, frosted window, wooden Venetian blinds, extractor fan and a single pendant light. 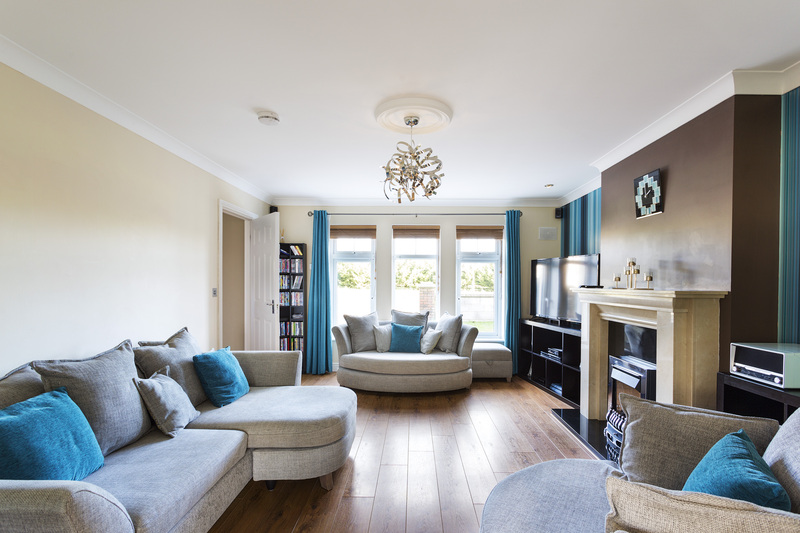 Living Room: 5.05m x 4.07m - Bright and spacious room located to the front of the property with a featured coal effect gas fireplace, Marble surround & mantle, semi solid flooring, wooden Venetian blinds, decorative coving and centre rose. TV point and double doors to the Kitchen / Dining Area. Chrome Switches / sockets. 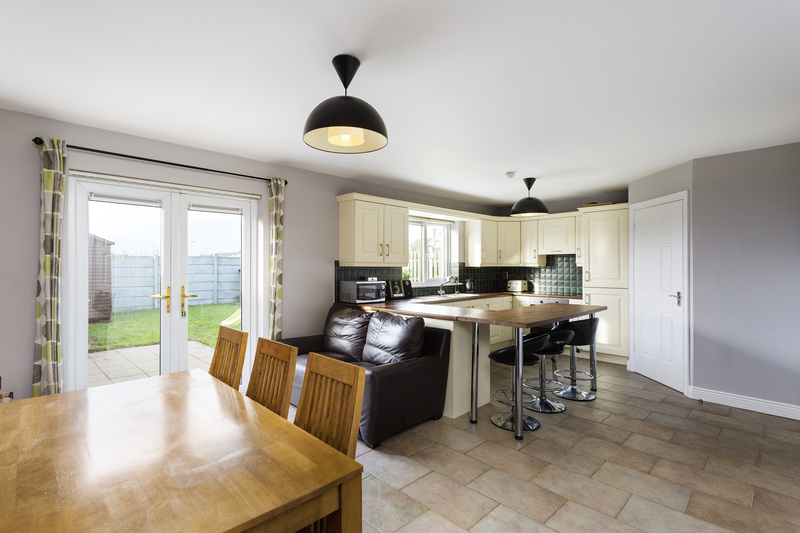 Kitchen/Dining: 4.34m x 6.78m - Entrance from entrance hallway to kitchen area, a large kitchen/dining room. 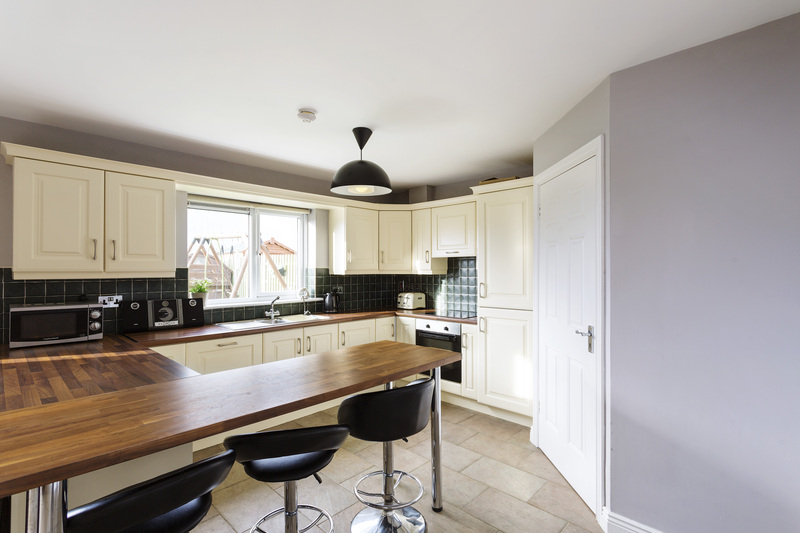 With many features including tiled floor and splash back, integrated single oven, plumbed for dishwasher, electric 4 ring electric hob, extractor fan, bowl and a half stainless steel sink unit and floor, wall mounted kitchen units, breakfast bar and double French doors to the rear garden. Utility: 1.5m x 1.4m - Plumbed for washing machine & dryer, window to gable end, wooden Venetian blinds, tiled floor, gas boiler, chrome switches / sockets. Landing: (4.0m x 2.05m) & (0.95m x 1.53m( - Carpet floor, wooden Venetian blinds, attic access hatch window to gable. 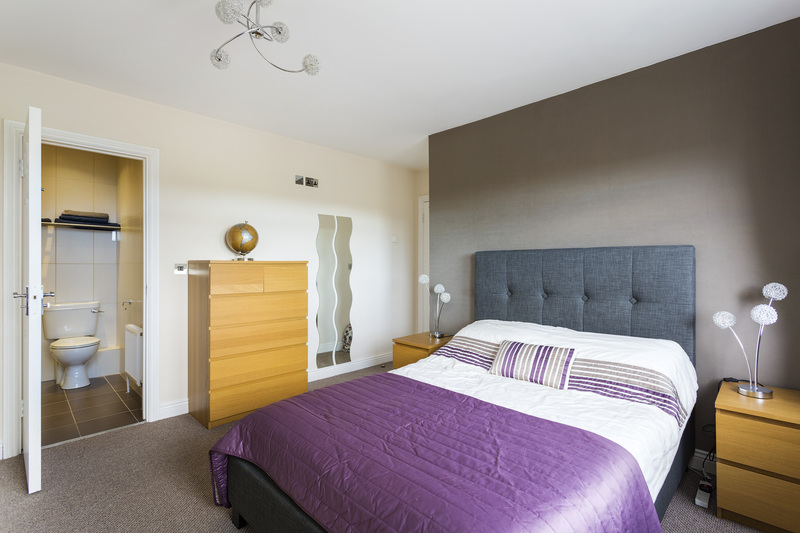 Master Bedroom: (3.75m x 3.7m) & (1.01m x 0.92m) - Large master bedroom located to the front of the property with built in wardrobes, wooden venetian blinds , carpet floor, TV point and chrome switches / sockets. 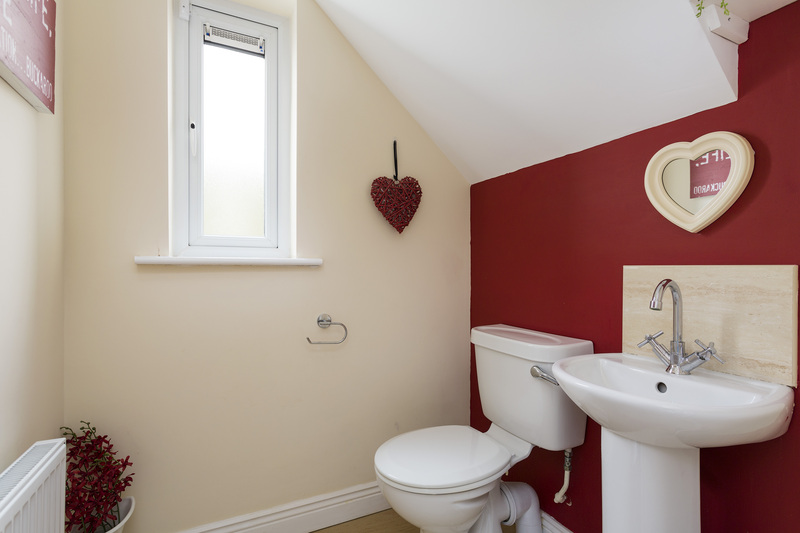 En-suite: 1.76m x 1.69m - En-suite complete with W.C, W.h.b. Tiled floor and walls, power shower & extractor fan. 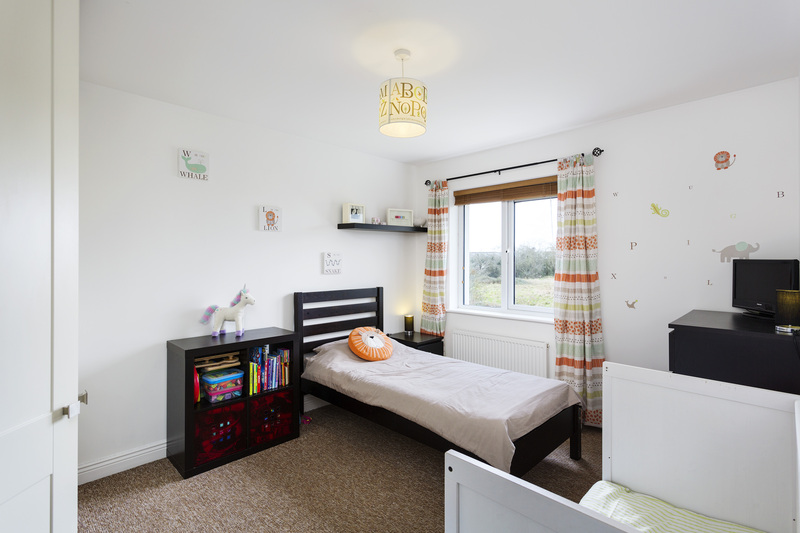 Bedroom 2: 2.17m x 3.0m - Spacious bedroom located to the front of the property, wooden Venetian blinds, carpet flooring and built in wardrobes. Bedroom 3: 2.68m x 3.59m - Generous double bedroom located to the rear of the property, wooden venetian blinds, carpet flooring and built in wardrobes, tv point. 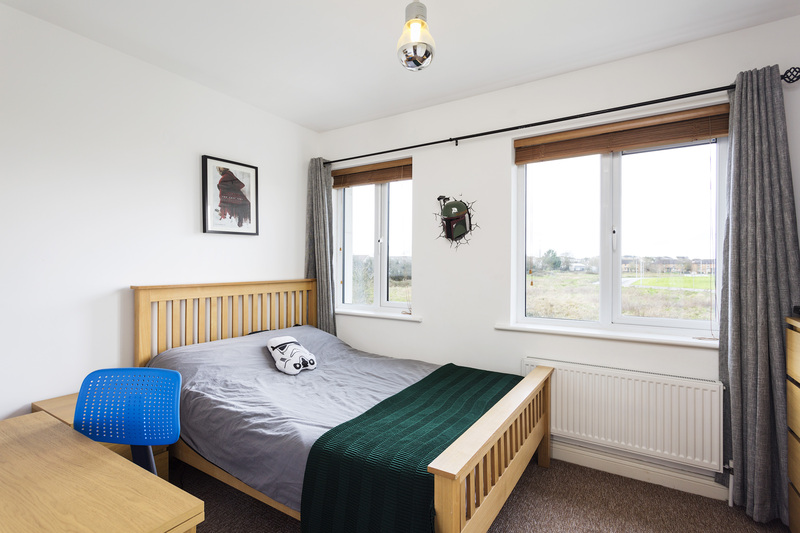 Bedroom 4: 3.75m x 3.08m - Generous double bedroom located to the front of the property, carpet flooring, wooden venetian blinds and built in wardrobes. 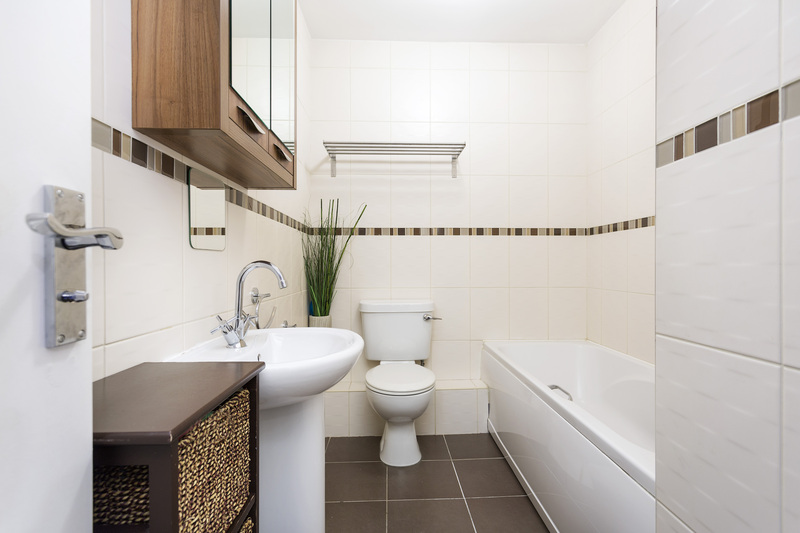 Main Bathroom: 1.76m x 2.77m - Complete with W.C, W.h.b, bath with telephone shower attachment, floor to ceiling tiling, extractor fan & heated towel rail. •	Water : Mains with water softener installed. • Kingspan solar tubes fitted to the roof. •	Heating: Gas Fired Central Heating. 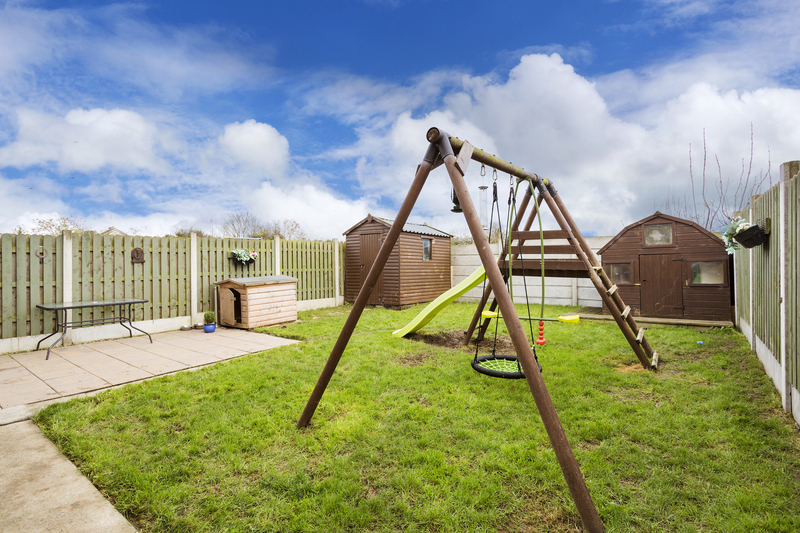 •	Maintained to an exceptionally high standard throughout. •	Paved driveway for two cars. 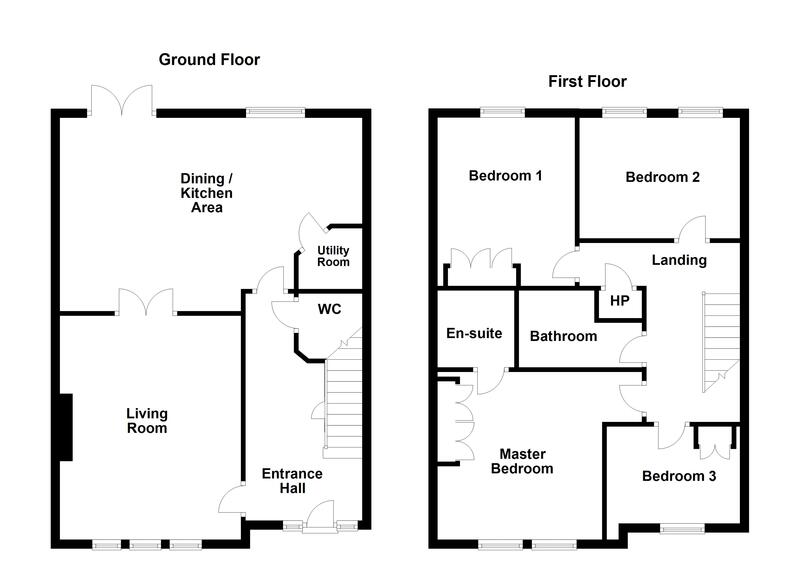 •	Spacious open plan kitchen / dining room to rear. •	Semi solid floor through the hall and living room. •	West facing rear garden with patio area. •	Side access to rear garden. From Ashbourne turn onto the Milltown Road. Then turn left onto Hunters Lane. Then take the third right into Ashewood and continue straight into Archerstown Wood. At the roundabout go right and the house will be up on the right hand side, see the REA Grimes for sale sign. Interested in 8 Cedar Road, Archerstown Wood?